Learn Japanese for free in English with the kawaii日本語! 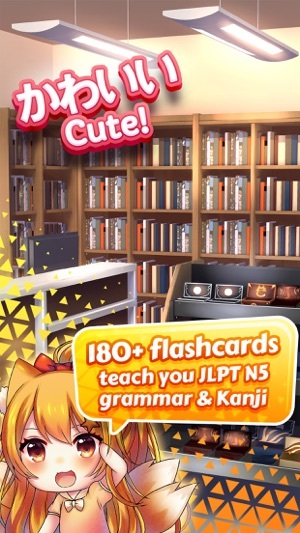 kawaii日本語 helps you to learn Japanese faster and read and write Hiragana, Katakana and Kanji with cute flashcards, learning games, and mnemonics learning techniques. kawaii日本語 is perfect for beginners who want to learn to read and write Japanese. Try kawaii日本語 and you’ll be amazed at how quickly you can learn Japanese Hiragana, Katakana, and Kanji! ▸ Try kawaii日本語 with 15 free flashcards and get a feeling for how we help you to learn Japanese! ▸ Learn to read Japanese by covering all Hiragana and Katakana. ▸ Expand your Japanese grammar with JLPT N5 grammar. ▸ Learn Japanese vocabulary with JLPT N5 Kanji. ▸ Explore over 180 learning cards with unique pictures. ▸ Support your learning progress with spaced repetition. Learn faster and more efficiently! ▸ Take lessons for listening comprehension and writing and drawing Hiragana, Katakana and Kanji. ▸ All lessons are voiced from Japanese native speakers. ▸ Make learning Japanese fun and engaging with interactive learning games. ▸ "Kana-Memory" and "Nihongo Dash" will help you to memorize and recognize Hiragana and Katakana. ▸ We are constantly expanding our selection of games! ▸ Best of all, learning games are always free! 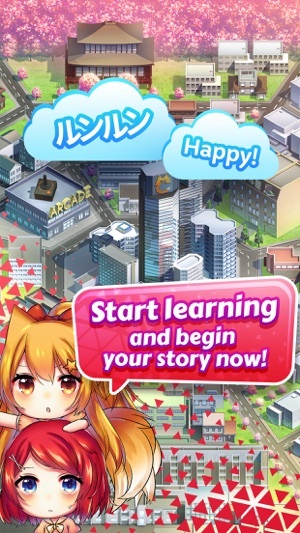 ▸ Embark on a story as you begin to learn Japanese. Join characters Riko, Yuji and Aoi as they guide you through kawaii日本語. ▸ Customize your flash cards with different layouts designed by various artist, and fit them to your learning preferences. 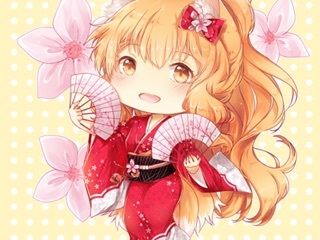 ※ An internet connection is required to register and download the learning cards from our servers on your first start of kawaii日本語. After that, you can use kawaii日本語 without further internet access. Some features may be unavailable when not connected to the internet. Nothing is perfect, but this app is pretty good. It actually teaches you grammar and explains stuff if you buy that expansion instead of making you memorize a bunch of sentences. Sure there’s a few things I’d like them to change, like making stuff like the basic packs cheaper so you’re not stuck learning like maybe six words and a few letters for so long. And I don’t know how to type the small version of 「つ」so I can’t spell some stuff and therefore they say I get stuff wrong. Other than that this if the best most helpful app for learning Japanese I’ve ever tried. 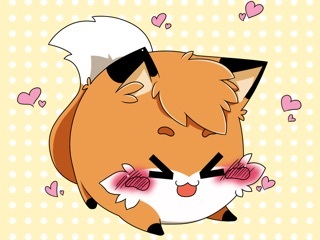 And if you get the fox pop game it helps you earn more coins, so that’s nice. I’d highly suggest it to anyone who wants to learn Japanese. This app is amazing! I’ve only used this app for about a week or two now and this app makes me want to learn Japanese and take more lessons on it. 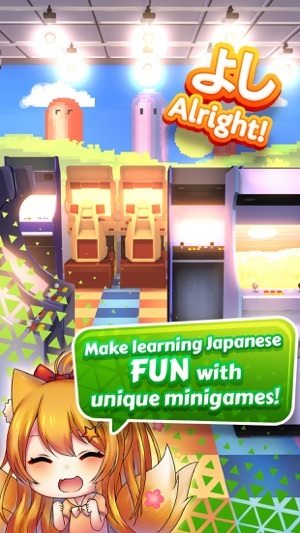 The mini games are awesome and makes Japanese learners some fun while learning. I am from South Korea and I only know two languages. I only know Korean and English but I am going to get to know three now that I found out about this app. 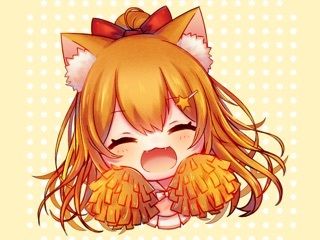 I hope you add more mini games and updates to the game to make Japanese learning more fun. My favorite mini game is probably the memory game. I love this app and will keep using it every day. That is my review on this application. I hope more people purchase it. 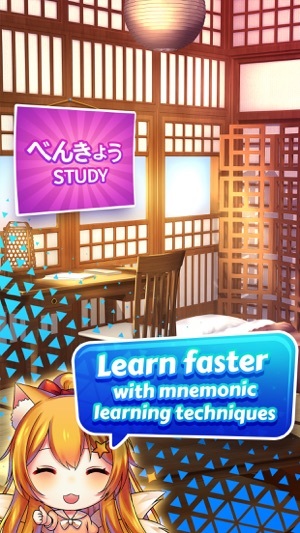 I hope you make more games on Japanese learning so people can learn more. This app is great and I've been using it for a while now. It seems like your just playing a game but your learning and the games in the arcade are great too! 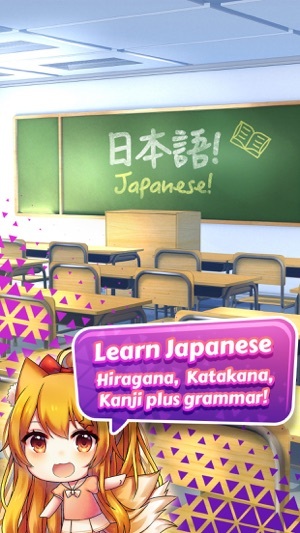 You learn hiragana, katakana, kanji, and grammar. They even put pictures to help you remember. Although there are a few bugs such as when you tap on a door that you haven't unlocked yet you get stuck and have to back out of the app and... actually that's the only one I've noticed but they said they're fixing some other bugs too... anyways I totally recommend this app! Edit: thanks for responding to this and thanks for telling me that I'll update it!😸 again thanks it's a great app! We just released a new update yesterday, which fixes the issue when tapping on the door and adds brand new features!